Utah now has the strictest drunken driving limit in the nation. Here are 9 things to know about the new state law. (Al Hartmann | Tribune file photo) UHP trooper Joseph Osmond gives a field sobriety test to a driver on I-15. Utah now officially has the nation’s lowest drunken driving limit. Sunday at 12:01 a.m., a new law took hold lowering the state’s blood alcohol content (BAC) standard — used to determine when drivers are considered legally drunk — from 0.08 to 0.05 percent. While the law was passed by the Utah Legislature — and signed by Gov. Gary Herbert — in 2017, its effective date was delayed until Dec. 30, 2018. It’s no coincidence that it’s the day before New Year’s Eve, when many people celebrate with too much liquor and alcohol-related injuries and fatalities increase. (Rick Egan | The Salt Lake Tribune) Rep. Norm Thurston talks about Utah's strict new DUI law, which lowers the blood alcohol limit from 0.08 to 0.05, effective Dec. 30. Wednesday, Dec. 26, 2018. A member of The Church of Jesus Christ of Latter-day Saints, Thurston has previously insisted that Utah’s predominant faith, a major force in the state’s alcohol policies, did not get involved in the new law because he presented it as a public safety issue. 1. 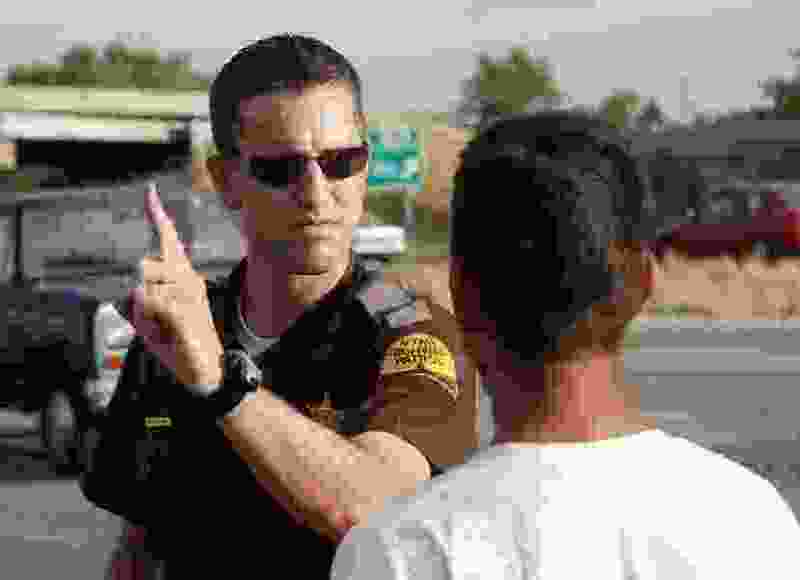 Officers are maintaining the status quo • Officials with the Utah Highway Patrol and other police agencies say the new law won’t change how they enforce DUI laws. They will continue to focus on impairment — signs that someone is not driving safely — rather than blood alcohol levels. In addition, UHP troopers and other officers have spent the past few months getting retrained in field sobriety tests to ensure what they do meets standards. 2. Alcohol limits are personal • Several factors affect BAC, including the number of drinks, age, gender, body weight and the amount of time that has passed since the first drink. One drink, according to the Centers for Disease Control and Prevention, is equal to 1.5 ounces of liquor, 12 ounces of beer or 5 ounces of wine. However, the National Transportation Safety Board, which supports a 0.05 limit and would like to see it implemented nationally, has said numerous studies show impairment starts after one alcoholic drink, and people are noticeably impaired at 0.04 — the BAC limit for commercial truck drivers. (Rick Egan | The Salt Lake Tribune) Rep. Norm Thurston talks about the Utah's strict new DUI law, which lowers the blood alcohol limit from 0.08 to 0.05, effective Dec. 30. Wednesday, Dec. 26, 2018. 6. Other states may join Utah • Thurston, who doesn’t drink alcohol but has said he doesn’t oppose others imbibing, has had conversations with officials in “close to a dozen states” about lowering the BAC limit. Bills have been proposed — but not passed — in Hawaii and Washington, and there is talk in California and New York, as well. “A lot of people are watching,” he said. The NTSB has estimated that a nationwide 0.05 limit could save at least 1,500 lives a year. 8. There’s a new drinking-responsibly campaign • While they initially opposed the law, restaurants, bars and tourism officials have shifted gears. They have joined forces with law enforcement on a new Enjoy Utah Responsibly awareness campaign that includes billboards, radio ads, social media posts and banners in restaurants. The campaign encourages Utahns to eat and drink, but use public transportation or ride-sharing to get home. There’s even a link on the website for $5 off a Lyft ride. 9. More liquor changes • While Thurston said he does not plan to propose another BAC reduction for Utah, he is working on two other liquor-related issues. Restaurants and bars have asked him to review the state’s dramshop laws, to better determine who is liable when a drunken driver causes injury or death. He also is working with the Utah Sheriffs’ Association to remove a statute that allows law enforcement officers to carry a weapon while intoxicated.